It would’ve been about 12-13 fill-ups except for a drive over to Seattle in September with my son to watch a Seahawks game. So, as expected, I am pretty much a male version of the little old lady who drives to the store once a week and that’s about it. This is why my 1999 Toyota Corolla still has less than 100,000 miles on it. 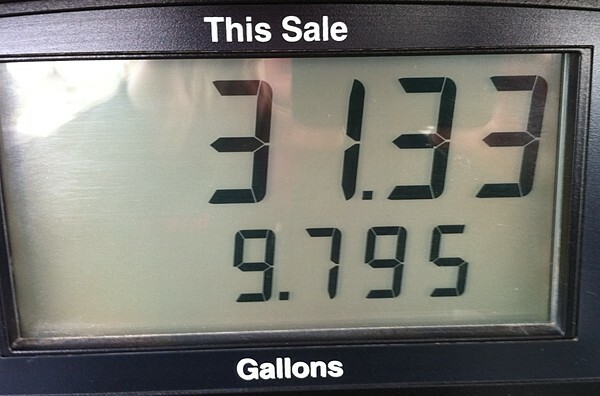 If you’ve read this far, I’d love to know how often you fill-up your car? Once a week? More? Couple times a month? I try to make it through the month on two tanks of gas. Most of the time I succeed, but there are times where its tight. That’s not too bad. My poor wife — with all the real estate driving she does, it’s at least one fill-up every week, sometimes more.